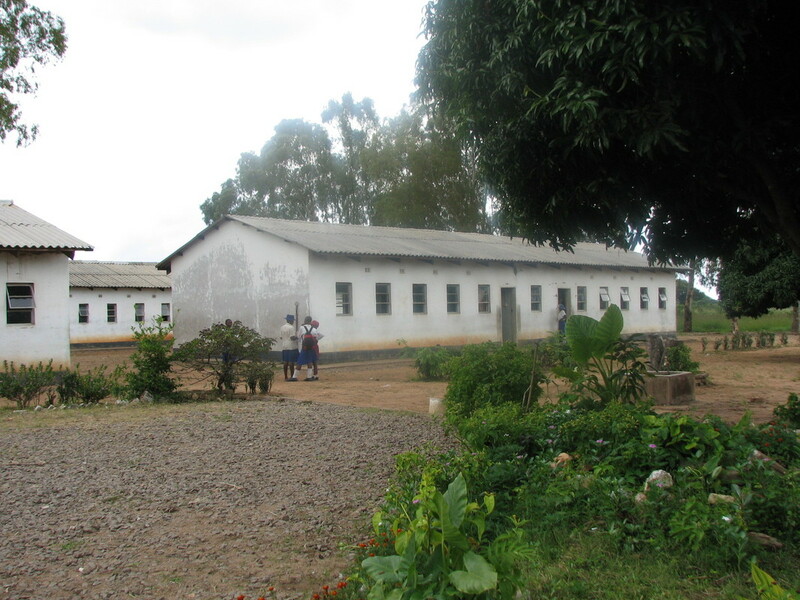 There are 2 primary and 1 secondary school in town: Detema Secondary, Dete Primary, and St. Francis Xavier. 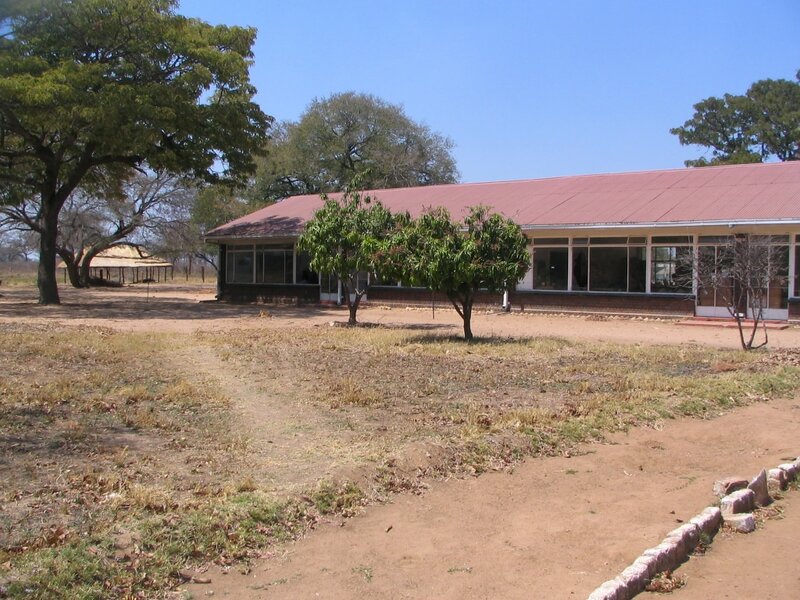 Since 2005 Africa Matters has actively supported schools in Dete, a community on the edge of Hwange National Park, which is in the near vicinity of Painted Dog Conservation’s main facilities. 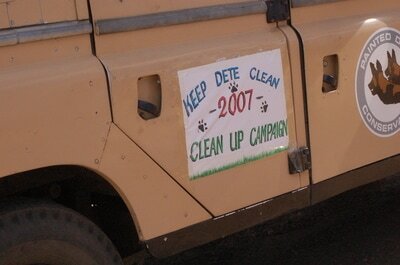 Over the years we have offered help in several ways. We have made direct financial contributions to the school that were specifically awarded to indigent students who would otherwise have been sent home for lack of paying fees. This included paying for students who had lost their parents to AID. 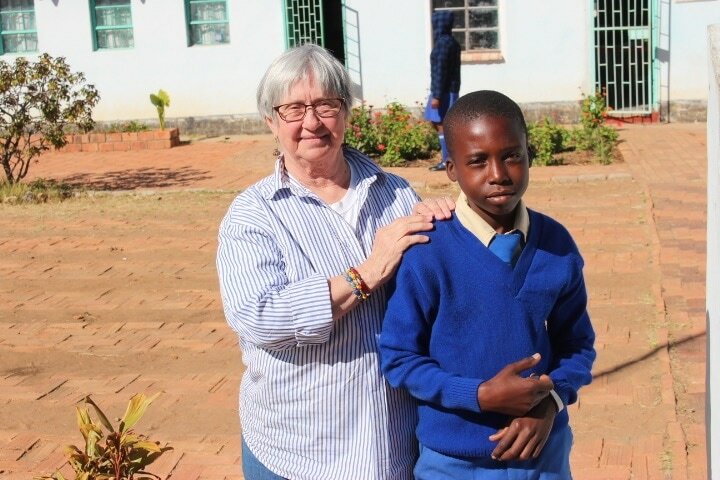 In acknowledgement of Joe’ s years of faithful support and service on the Board of Directors, in 2015 the Board voted to designate our highly selective secondary school recipients as Joe Hollstein Scholars. Our hope is to guide these special students in to careers in conservation. The Education Department at Painted Dog Conservation proposed Victor with the highest recommendation. 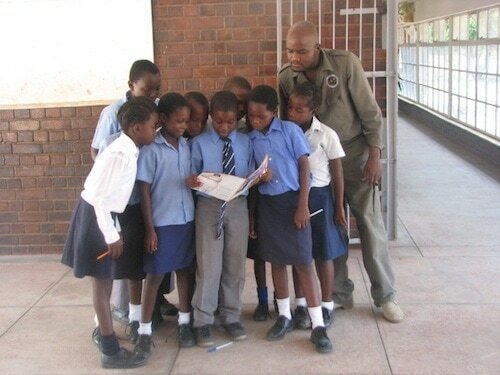 This was based on his performance at their Children’s Conservation Bush Camp; work in his school conservation club, and public speaking at local events. 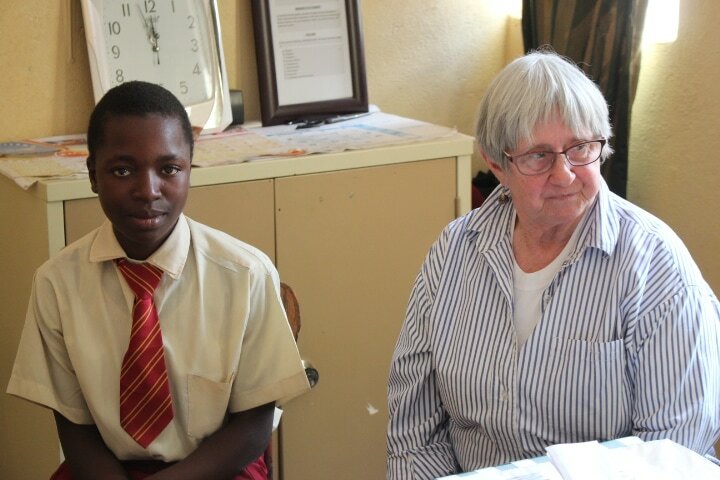 Victor is completing year two of high school at Detema Secondary in Dete. 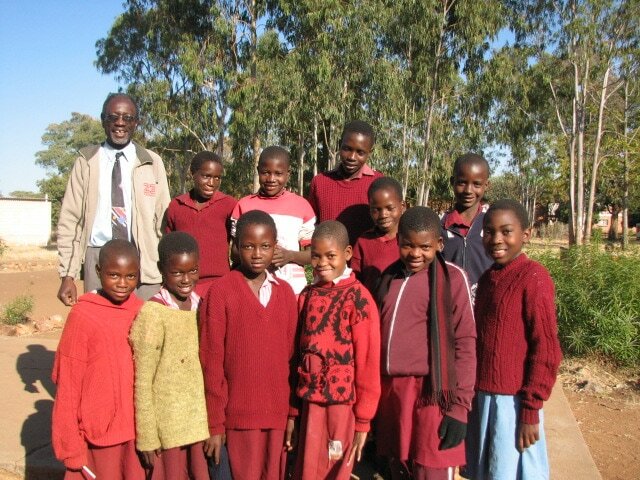 Africa Matters is fully funding Victor’s school fees and all expenses including uniforms, supplies and exam fees. Vigilant also came to us by recommendation of PDC’s education officers. She was well known in the area for her academic excellence and serious interest in conservation and science. As with Victor, she is now in her second year of high school attending Netchilbe Secondary School. All of these students come from families who were financially unable to fund their post-primary education. Africa Matters funded her remaining two years at secondary level and then facilitated her being accepted at Fatima Secondary High School, a private institution for her three years of secondary education. Having finished that and passing her “O” level and then "A" level exams. 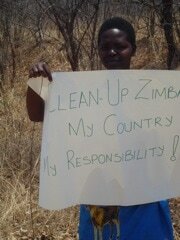 She is now seeking employment in the conservation field. 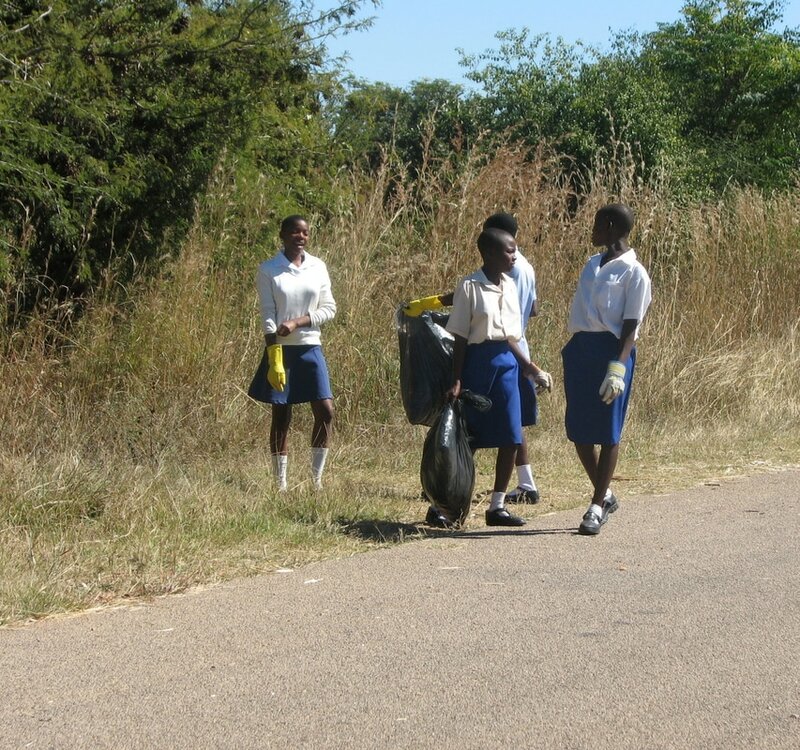 ​Wildlife Environment Zimbabwe, known as WEZ, publishes 2 or 3 issues of a conservation newspaper each year that is designed for and distributed free to rural schools that have no media access or libraries. 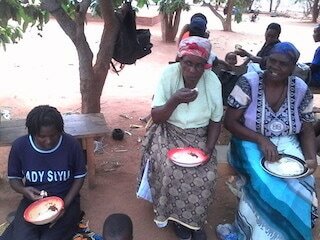 AM and PDC again assist in the distribution in the Dete and Hwange area. They print approximately 15,000 copies. One survey proved that each issue can be shared by as many as 8 students – meaning over 100,000 young students benefit. Africa Matters makes a sizeable annual donation to help defray WEZ’s printing cost. ​Zimbabwe conducts an annual National Conservation Quiz. This is a highly contested event, bringing honor and recognition to the winning individuals and staff at their schools. 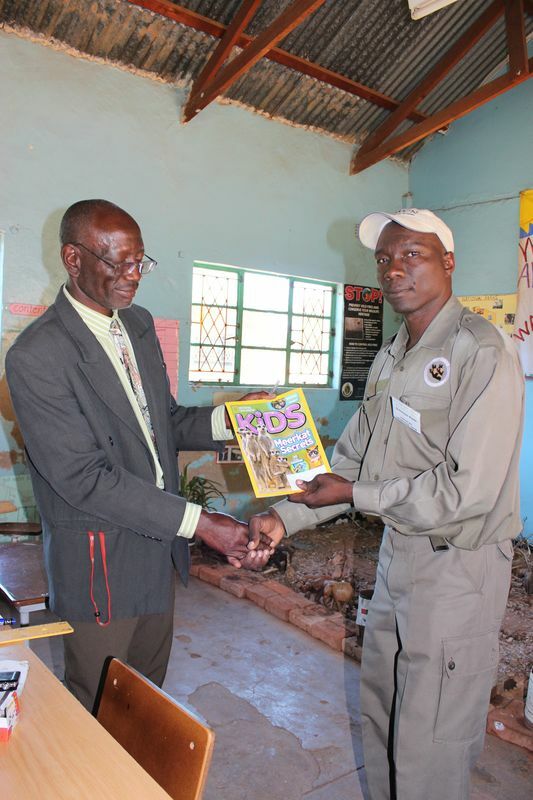 Students in the Dete area having the benefit of these publications added to their attendance at Painted Dog Conservation Children’s bush camp and support for their conservation clubs, have excelled with high scores, moving from local, regional and provincial level. This group was originally formed by Hwange Lion Research Project grant monies designated for use in community outreach. 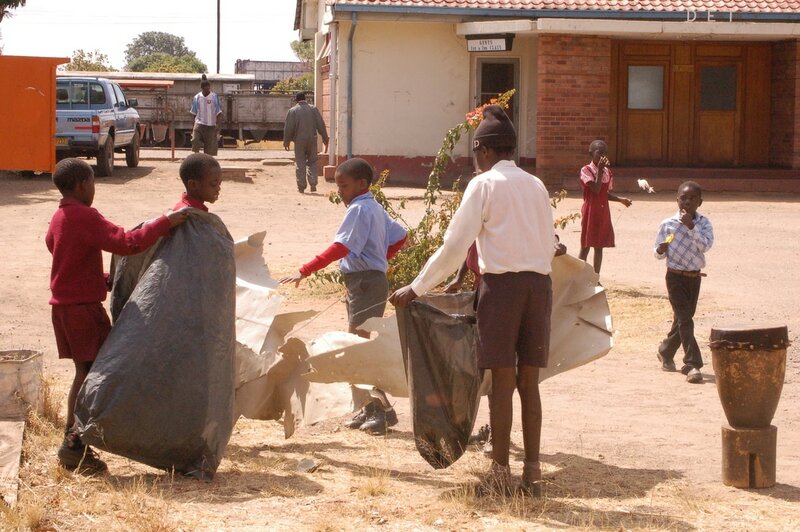 Ingonyama was tasked to use their considerable talents to promote conservation by educating and entertaining children near Hwange National Park. Wendy Blakeley was enlisted to mentor the troupe in performance skills and assist them to develop teaching materials and skills. Africa Matters took over sponsorship of the group in 2006. 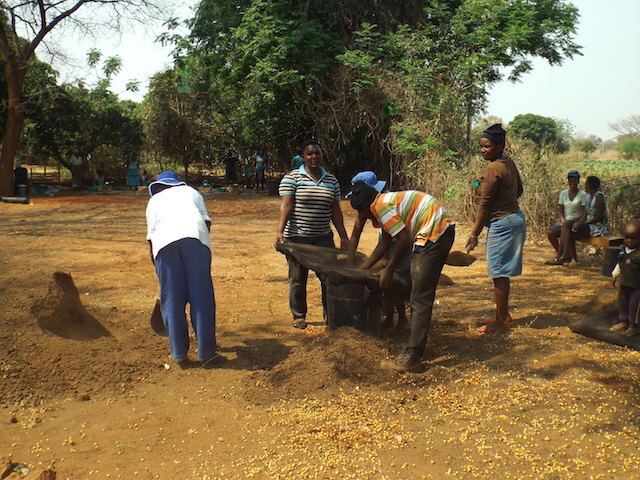 The activities we support include conservation workshops to school children, community cleanup days enlisting both student and adults that include lessons in good stewardship of habitat. They often requested by government agency for special events that promote understanding the harm done by bush fires. Since 2005 the group has performed at many rural and village schools reaching hundreds of students, both elementary and high school levels. Workshops vary from 3 to 5 days usually for thirty students each. The students are provided educational materials, including books, writing and art tools, videos, quizzes, games, songs and dances. To enhance these sessions, Africa Matters has provided the group with a TV Monitor, DVD player and portable generator. This enables them to offer videos at rural schools that have no electricity. The performers are paid salaries for all activities they conduct in the area near Hwange National Park in NW Zimbabwe. Support includes food, accommodation and transportation for events that are distant from their home base in Dete. vocal and dance groups in Zimbabwe. INGONYAMA IS THE NDEBELE WORD FOR "LION KING OF THE BEASTS." The song is Iganyana - The painted dogs. The group is singing to a group of workshop students. At conclusion of a conservation workshop when parents come there is prize giving and celebration. A mother got top to join Ingonyama dancing. 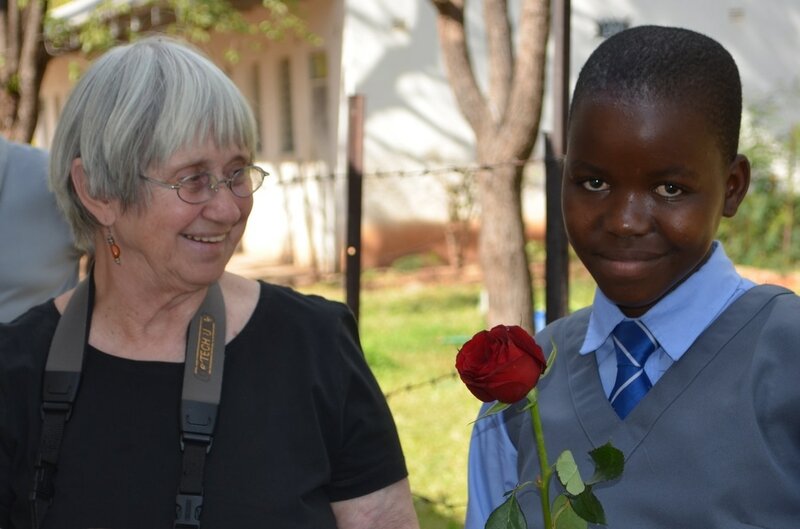 Since 2014 Africa Matters has purchased 25 yearly subscriptions of National Geographic for Kids for Conservation Clubs in schools in the Dete, Zimbabwe area. We started with just 14 schools in the local “cluster”, but word was out and there was a loud clamber for other schools to also receive it. So we upped the subscriptions from 14 to 25. 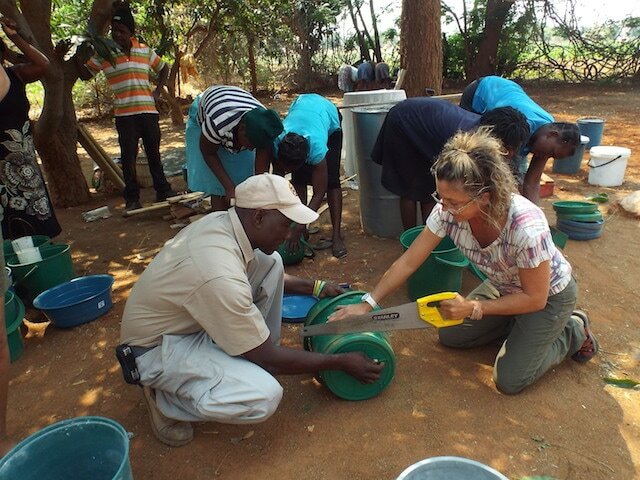 Painted Dog Conservation assists getting the magazines distributed to the schools when they arrive. Most of this schools and villages have no access to local or international media. These publications help young minds understand a larger world than their own, and identify themselves as global citizens. 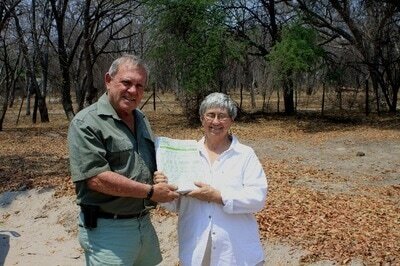 Wendy Blakeley presenting donation to past President of Wildlife Environment Zimbabwe, Colin Gilles. 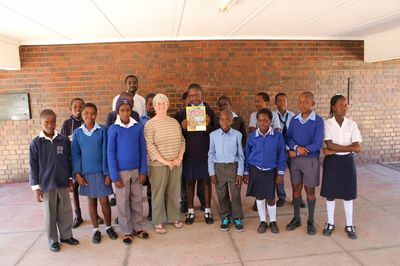 Conservation Club members, Dete Primary, get first look at national Geo Kids with a representative from Painted Dog Conservation who assists in the distribution of the magazine. Mr. Tembo, Head Master at St Francis Xavier School in Dete, receiving the first issue of National Geo Kids from Dominic Nyathi, Africa Matters’ liaison in the Dete area. Dete Primary students and AM Director, Wendy Blakeley, with their National Geo Kids issue. 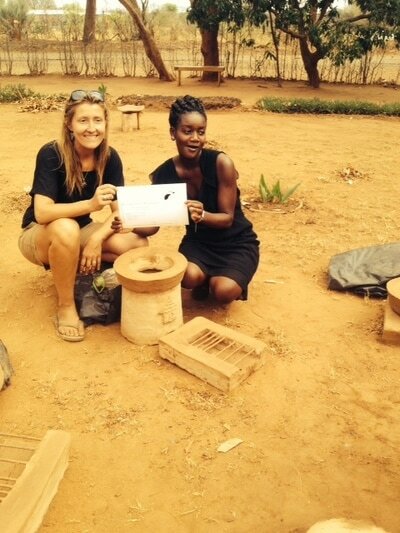 ​Africa Matters is excited that we have finalized our partnership with Laurie Simpson of The Soft Footstep Foundation in Zimbabwe to educate and train rural residents on making eco-friendly clay stoves. The benefits of these stoves are numerous and include reduced air pollution, less removal of downed wood in the forests as they use only twigs; relieves women of wasting hours and walking many miles to collect and carry large wood logs home. 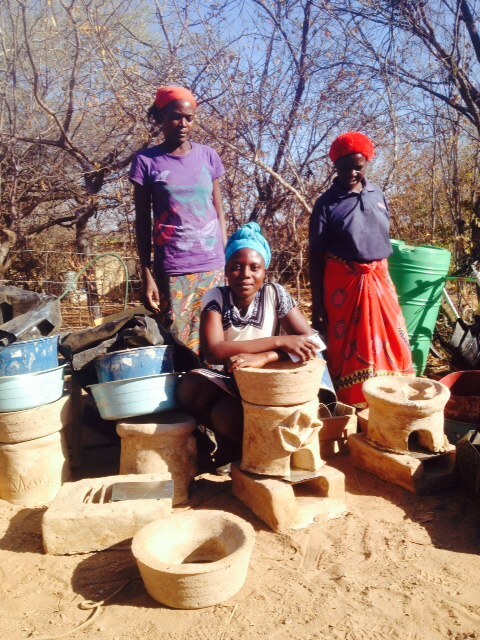 Using natural resources, once a frame is built, the only materials necessary to build these stoves are clay, manure of any herbivore, and water that soaked ashes. The stoves fire themselves, a major saving. 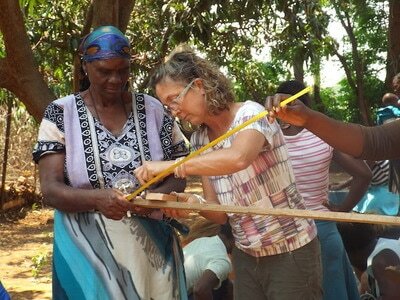 ​We began funding her work by supporting her first three workshops in 2016. We paid for 4 in 2017. We will be funding an additional 4 in 2018. 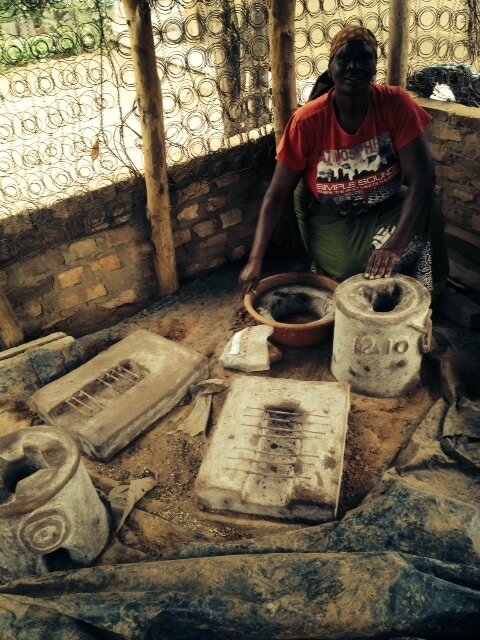 Laurie, who is passionate about the sustainable use of natural resources that make only soft footprint on the earth, has spent considerable time experimenting and designing a stove that can be made using readily available materials by anyone in the area surrounding Hwange National Park. 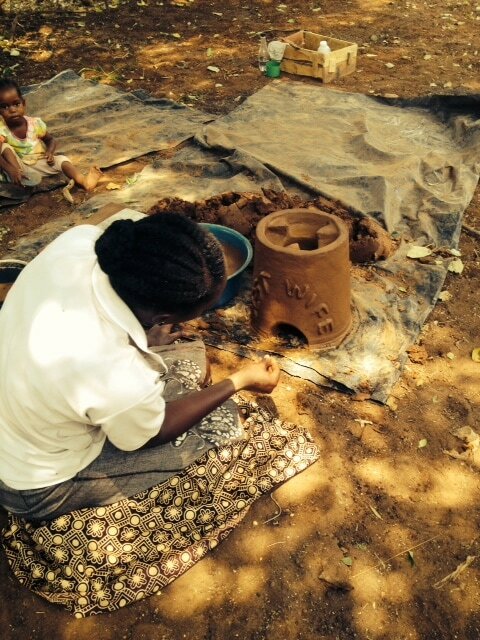 Residents are invited to participate in 2-1/2 day workshops to receive instructions and make their own personal stove. 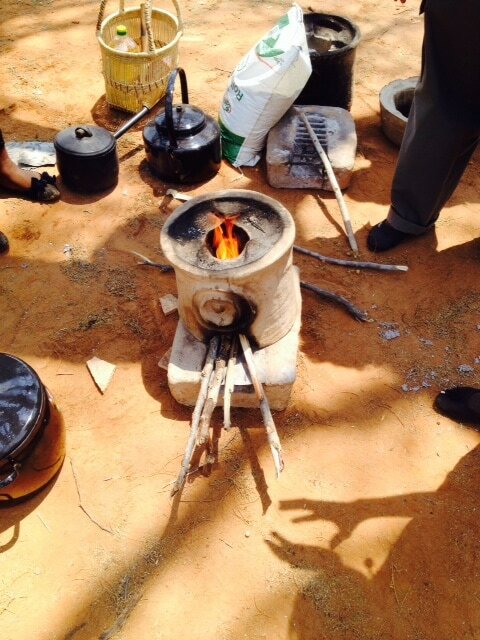 The workshops include education about sustainable use of the forest, health benefits of stoves using little firewood and producing negligible air pollution. Here are several short videos with Laurie explaining the process and its benefits. Support from out donors will enable us to continue funding her valuable work. 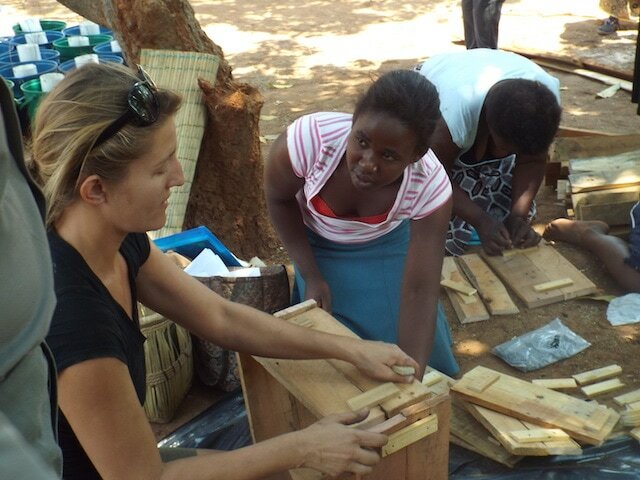 The persons attending the workshops are given the forms and trained so they can teach people within their communities to make their own stoves. 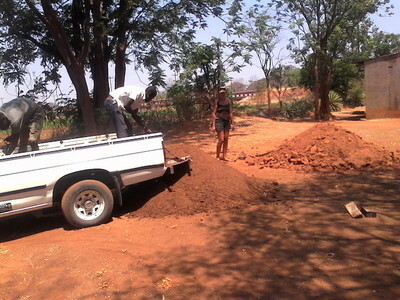 We are trying to work with some companies in the US to bring solar panels to Dete area. 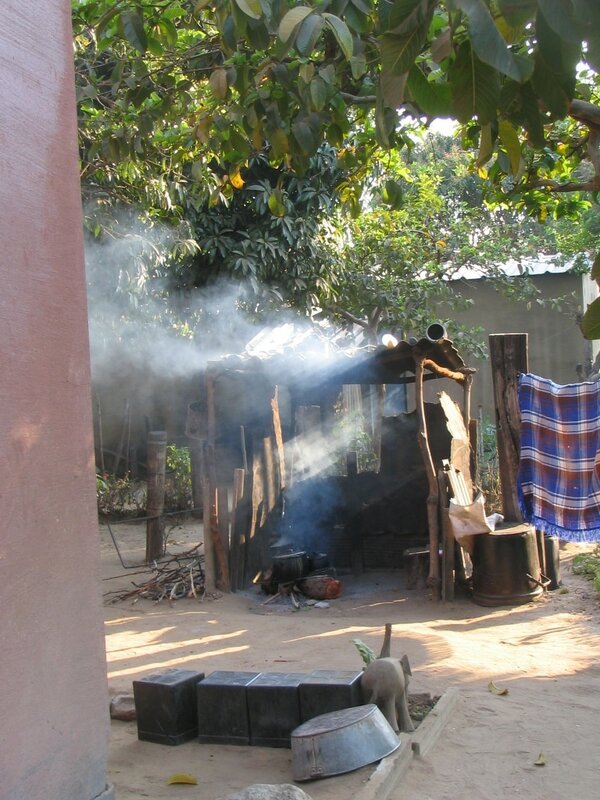 Electric power is in short supply in the villages around Dete. Candles are still a major source of light.